So how was it? Not bad... actually quite liberating. Traveling solo is one thing, but traveling and being a one woman video production team is another. However, it can be and has been done, so just do it. As a video producer, I love telling stories about real people, experiences and adventures, which is why I decided to buy my drone in the first place, so I can document these moments from a different perspective. Flying a drone, especially the Mavic Pro is extremely easy, only because its an amazing work of art. DJI wasn't joking around when they decided to become the largest leading drone company in the world. 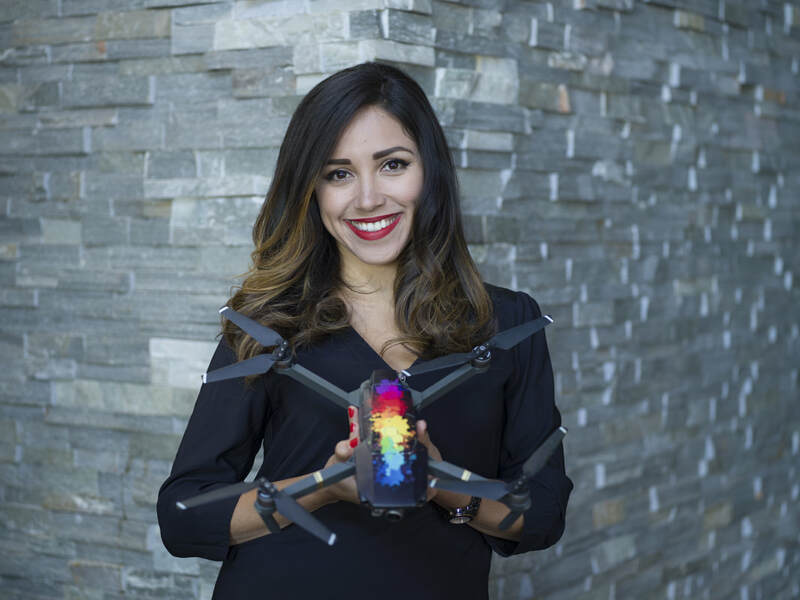 They created masterpieces for filmmakers everywhere and not just for them, they now have drones like the Spark thats taking the consumer market to the next level. They are so compact and travel friendly that anyone could carry around a drone. However, there are alot of rules around using drones and you cannot just use them anywhere. We all still need to be responsible when flying just as we are when we drive a car. I am often asked about my travel journeys with my drone, so I put together a list of questions below for you to review in case you're interested in purchasing a drone for your next vacation. How do You fly in other countries? Well, before I embark on my journey, I make sure to do research about the city or country I am going to. I then figure out the laws and regulations and follow them. The main rule as a hobbyist is to not fly within a 5 mile radius of an airport and always have your UA visible in the air. Common sense right? Well, some people would surprise you. If you wanted to really educate yourself, you could study and become a certified licensed drone pilot. I am currently studying for my Part 107 exam and its not as easy as I thought, but its doable. A license allows you to legally get paid as a drone pilot for work related projects, but it will also educate you on everything you need to know when operating a UA. How do you travel with your drone on an airplane? Traveling with my Mavic is a piece of cake, mostly because its small and compact. I simply put it inside of my backpack, just like a camera and no questions asked. I have never had any issues at the airport when traveling with my drone. I have also traveled with friends that carry the DJI Inspire, which is much larger, but still they had no issues. India, however, has prohibited drones and I had a friend who traveled there with his and it was not a good situation. That is why I recommend everyone to always check the drone laws and regulations online prior international traveling. What do you edit your footage on? I'm a huge fan of Premiere Pro, however, you can edit your drone footage on any editing system. However, if you are shooting 4K video, make sure you create your proxy files in Premiere (I had some trouble with that at first)! How do you export your 4k drone footage? When exporting my final video, I export differently for Youtube versus Instagram. For Instagram, I export it as a 1920x1080 H.264 file simply because I had issues getting the 4k version onto my phone. For your computer or Youtube, I export it as a 4096x2160 H.264 file. Of course, you can create your own settings depending on your project, but these settings work nicely for me and my needs on social media. That's it for now, be sure to keep these tips in mind while traveling with your drone. I hope you enjoyed the video I created and it would mean so much to me if you SHARED this video and SUBSCRIBED to my Youtube channel for more upcoming videos about my travel and drone adventures.